Preliminary plans were recently revealed for the tallest hybrid timber structure in the world, Architectural Digest announced. 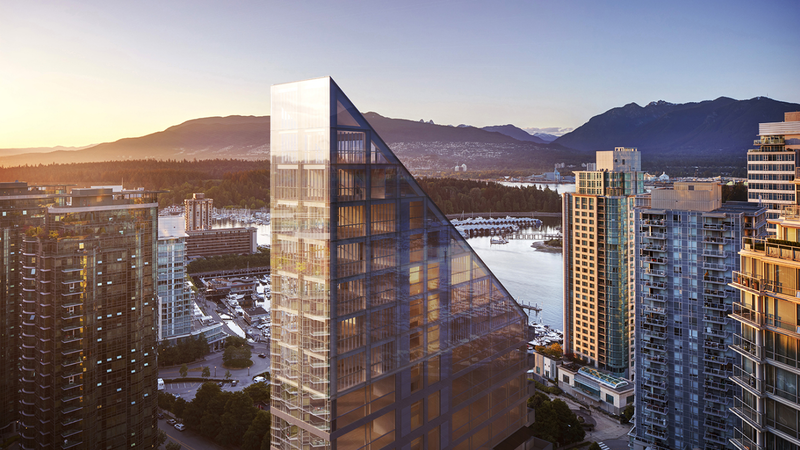 Japanese architect Shigeru Ban and Vancouver developer PortLiving have teamed up to build a residential building thought to break current records. Details for the project are still under wraps, but it is believed the skyscraper will be the tallest hybrid timber structure in the world once complete. The building, currently known as Terrace House, will be located in an area of Vancouver called Coal Harbor. Nick Mafi reports that the upper portion of the structure will be a combination of a timber frame supported by a concrete and steel core. Vancouver is not a stranger to building with mass timber. Construction at University of British Columbia’s campus is underway for an 18 story tall dormitory.